Sistac Victoria, a purpose-built, RINA-classed, DP-2 monohull shallow dive support vessel (SDSV) was recently delivered for service in Brazilian offshore waters. The vessel was designed by Incat Crowther in collaboration with the vessel’s builder, SeaSafe Barcos Manufacturados S.A. in Angra dos Reis, Brazil for Sistac Sistemas De Acesso S.A. 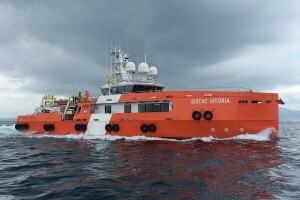 The Sistac Victoria’s aft working deck includes integrated winches for ROV and dive bell launching and retrieving as well as a knuckle boom crane for handling deck gear and a small rescue/service vessel. The aft deck also features a lower platform at the stern to facilitate direct access to the sea by diving personnel. The vessel has a landing area complying with Petrobras requirements for accommodating a crane-loaded man-riding basket, and for carriage and delivery of supplies and small cargo. Diver safety and maneuverability were key drivers in the selection of waterjet as main propulsion. Station-keeping and maneuverability are further enhanced by three (3) 200 hp Thrustmaster tunnel thrusters, model 30TT200ML. The thruste rs are driven by electric motors whose speed is controlled by variable frequency drives (VFD), all part of Thrustmaster´s integrated solution package. Thrustmaster tunnel thrusters are of exceptionally robust design capable of producing lateral thrust under extreme load conditions in demanding offshore applications for dynamic positioning or for slow speed maneuvering of marine vessels and are available from 150 hp (100 kW) up to 5,000 hp (3,500 kW) with tunnel diameters from 30 in. (762 mm) up to 136 in. (3,455 mm). 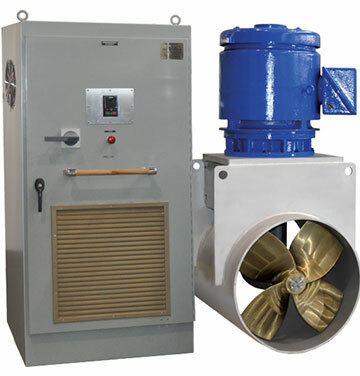 All components in contact with seawater are constructed of marine grade aluminum, bronze or 316 series stainless steel to insure longevity and prevent galvanic corrosion. The thrusters do not require external cooling. Any heat generated by the gears and bearings is dissipated through the pod housing to the surrounding seawater. The thruster pod housing is an aluminum casting and is bolted in the tunnel. 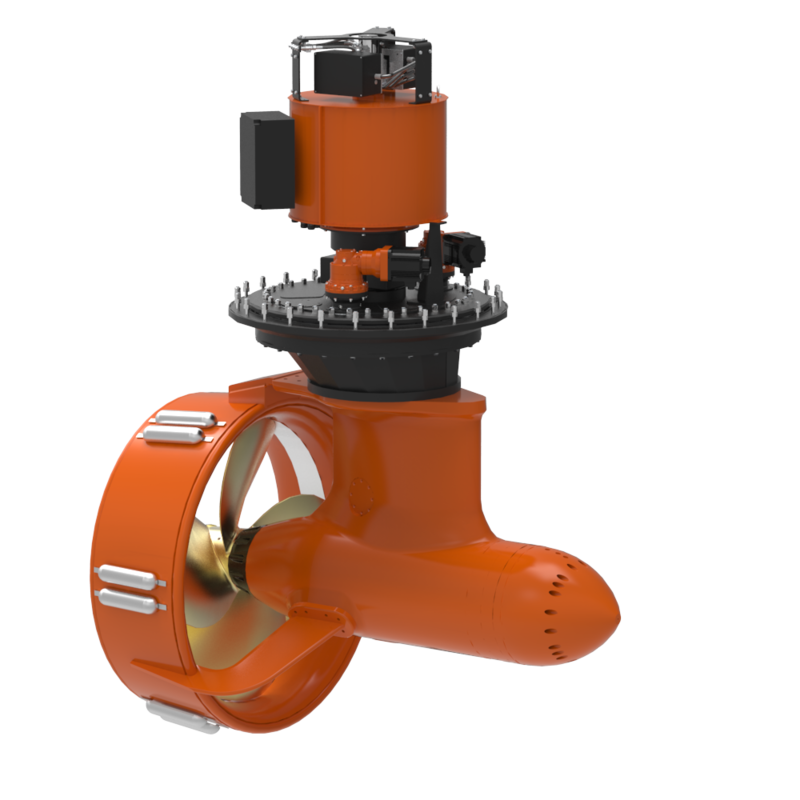 The pod contains the propeller shaft, right angle gears, input shaft, bearings, and seals. The geometry of the pod housing is hydrodynamically optimized to minimize drag resistance.